and in the horizon… we predict more animals will enter the arena. 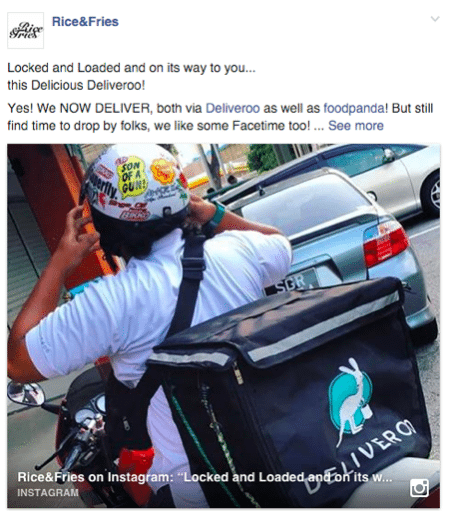 This writer thinks it’s Deliveroo vs FoodPanda for now. But soon to come… something even crazier! Deliveroo is a London start-up that has raised $25 million (£16.55m) to bring its upmarket takeaway service to the public through an app, by former hedge fund worker Will Shu. The foodpanda group is a global mobile food delivery marketplace headquartered in Berlin, Germany. It was launched in March 2012 in Singapore and expanded into 16 countries by the end of the year. Next up… instead of another animal joining the cage, we spy with our little eye… UberEats! Food Delivery >> UberEats which will officially launch in Melbourne next month, looking to deliver food to homes across Australia’s second largest city. 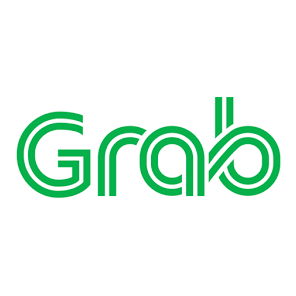 Then it struck us that GrabTaxi just rebranded to “Grab” not too long ago, a subliminal opening of our minds to realise that we can expect it to transport nearly anything, right? We’ll leave reality to unfold. But yes, as the title suggests, we do believe a war of sorts is on the horizon… (with us foodies being at the receiving end of it though, heh) What we’re not sure if it’s gonna be Royal-Rumble style, or Tag-team style, or Joseph Schooling style. 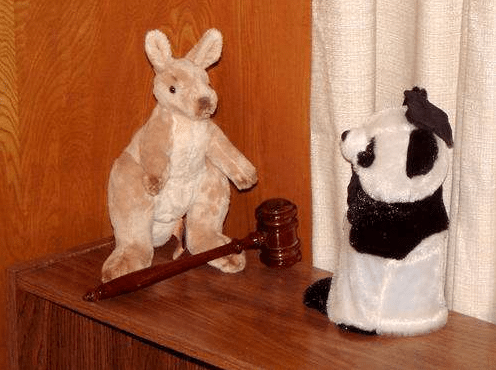 If a panda fights a kangaroo, with a human referee, in a private car… what kind of food would best remain intact? Seriously, and literally, food for thought…! Or. just don’t be lazy already and head out to get your fix, and score some Facetime with your local establishments! Next Up: We put local food deliveries to a test! Stay tuned! Meanwhile, we leave you with this UberEats video, a sneak peak into the future.